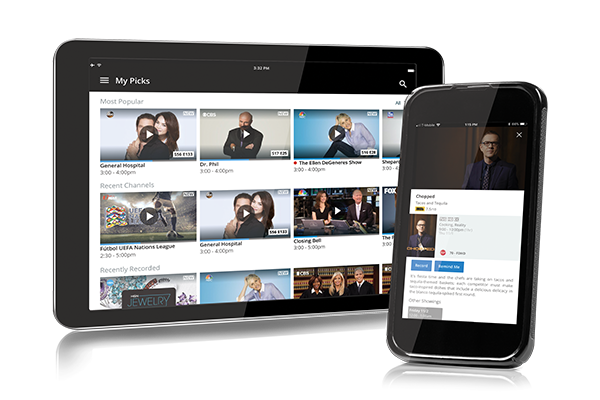 Get the entertainment you love anywhere, on your mobile device with the Altice One App. Watch TV and your DVR recordings anywhere in and out of your home. Search the channel guide and browse TV listings by day or time. Use Restart to watch a program from the beginning. Schedule recordings and manage your DVR. Use your smartphone or tablet as your remote. Search for what you want to watch with your voice by content, genre, actor, channel or even a famous quote. Send your favorite entertainment and apps from your mobile device right to your TV screen. See who's calling your home phone with caller ID. Note: Available programming is based on your Suddenlink TV package. You'll need your Suddenlink username and password to use the App. If you don't have one, or forgot it, click here. Open the Altice One App on your mobile device. Enter your Suddenlink username and password and tap "Sign In". Choose "Agree" on the license agreement screen (first-time access only).